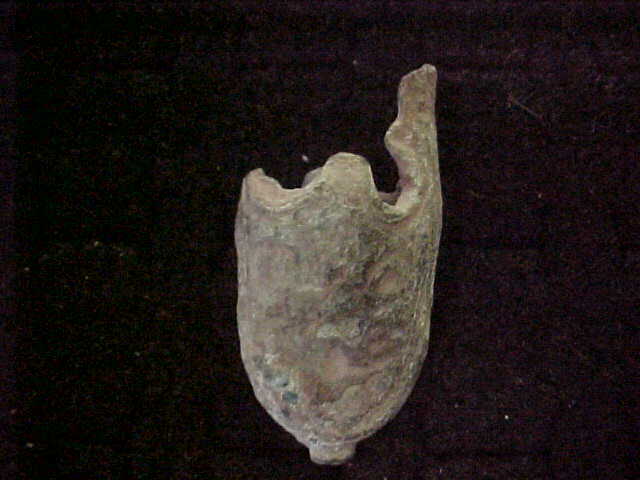 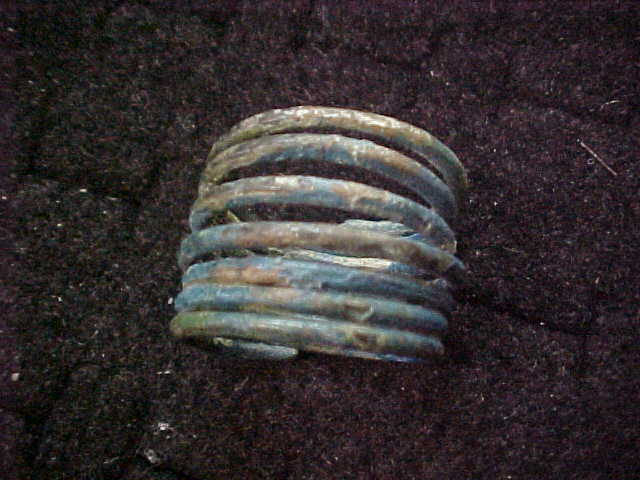 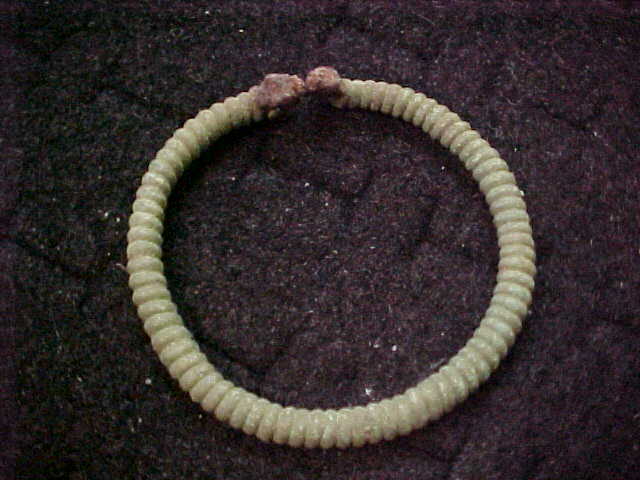 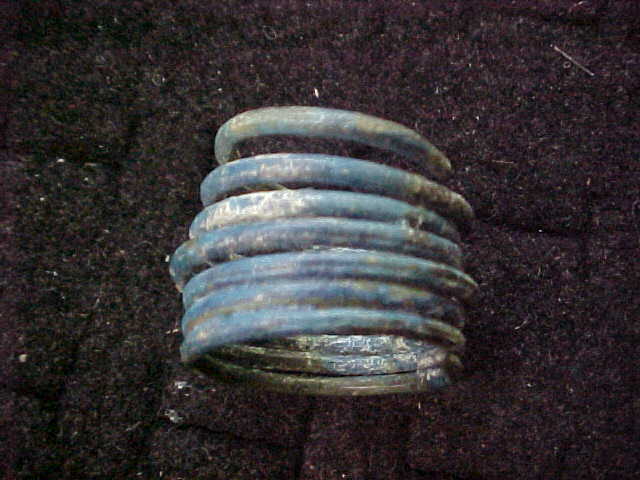 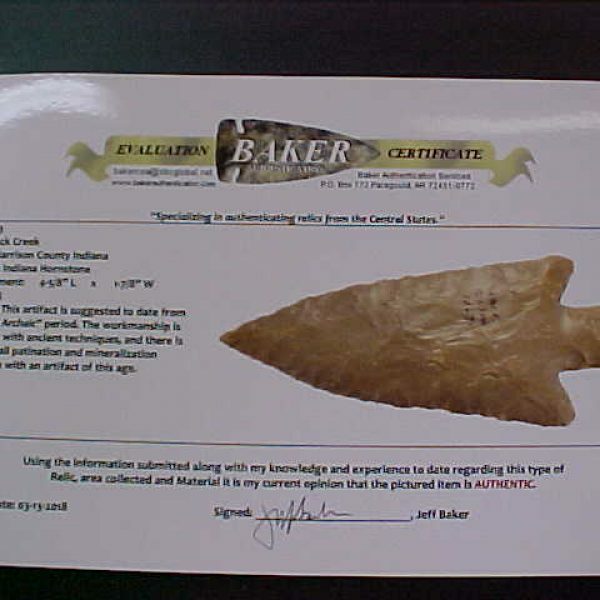 Categories: ANCIENT ARTIFACTS, North American. 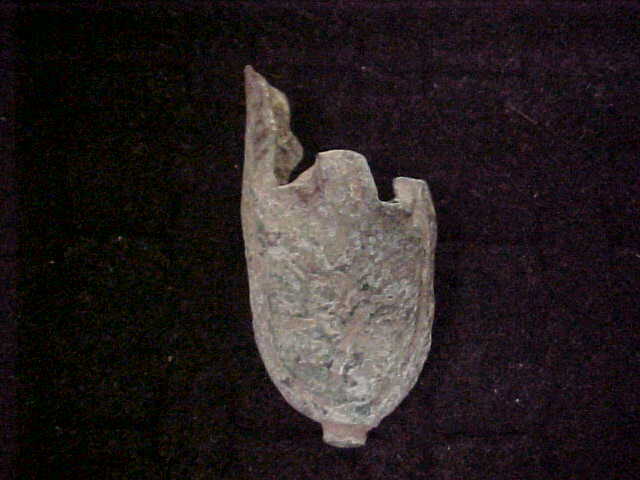 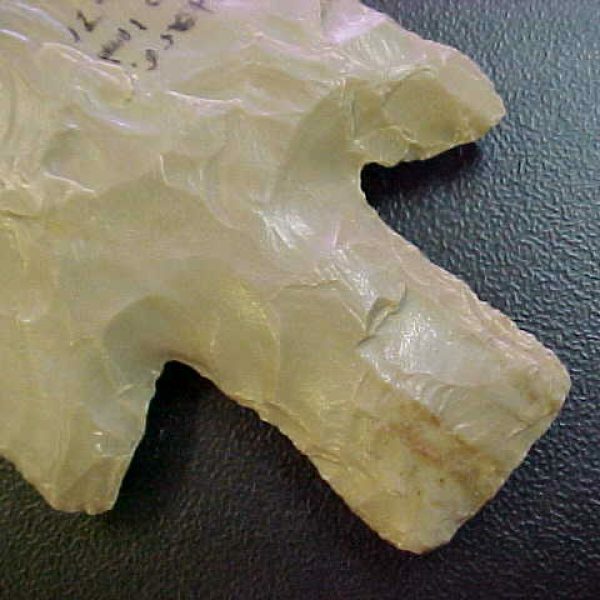 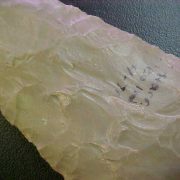 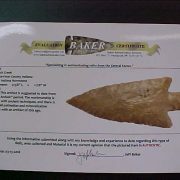 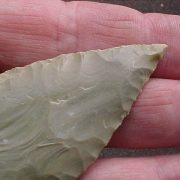 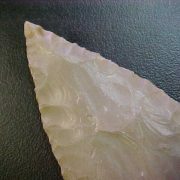 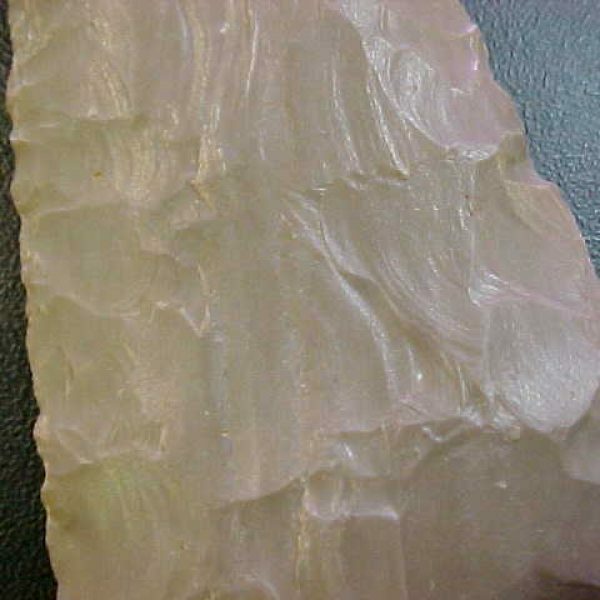 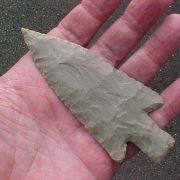 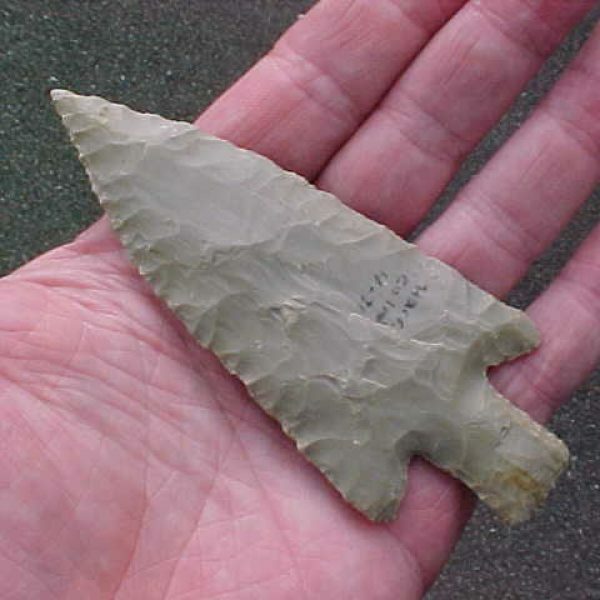 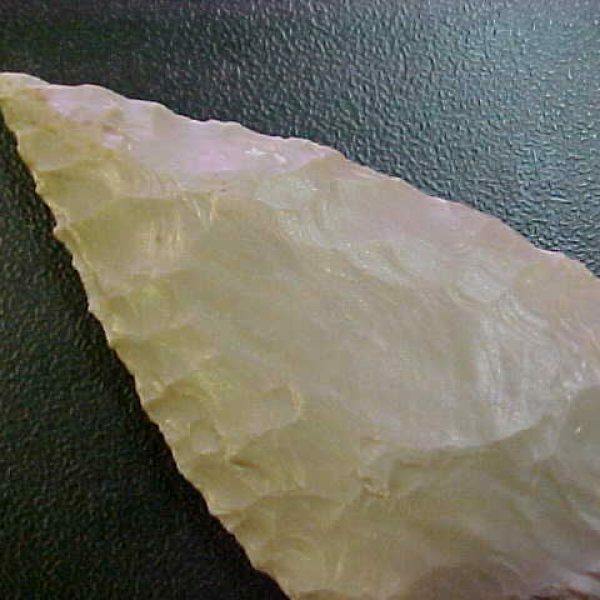 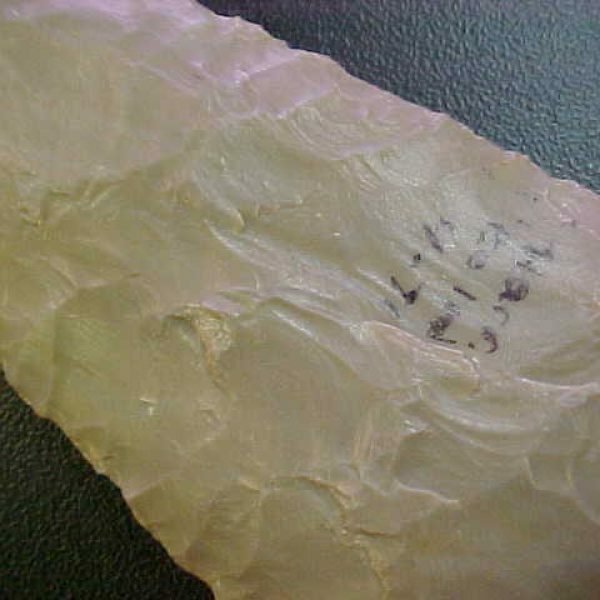 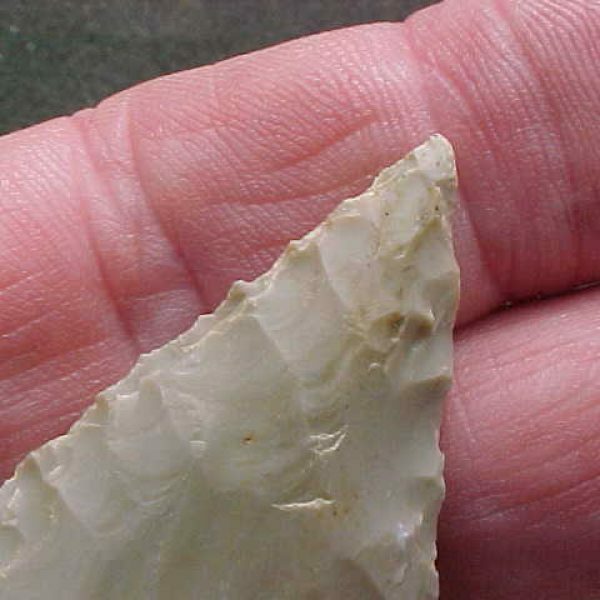 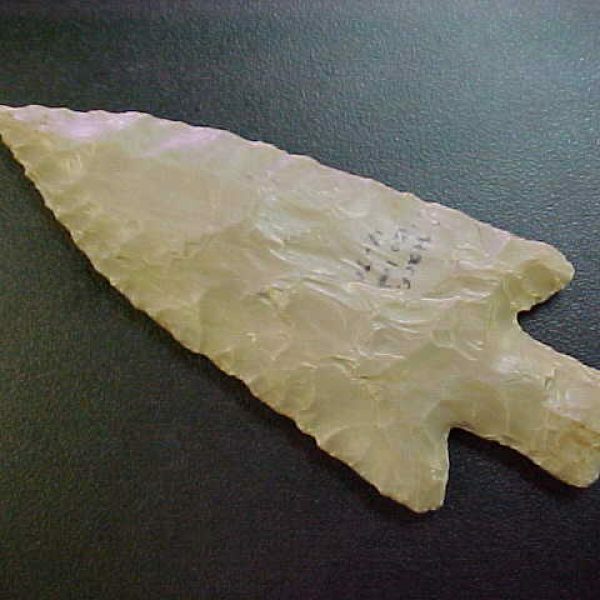 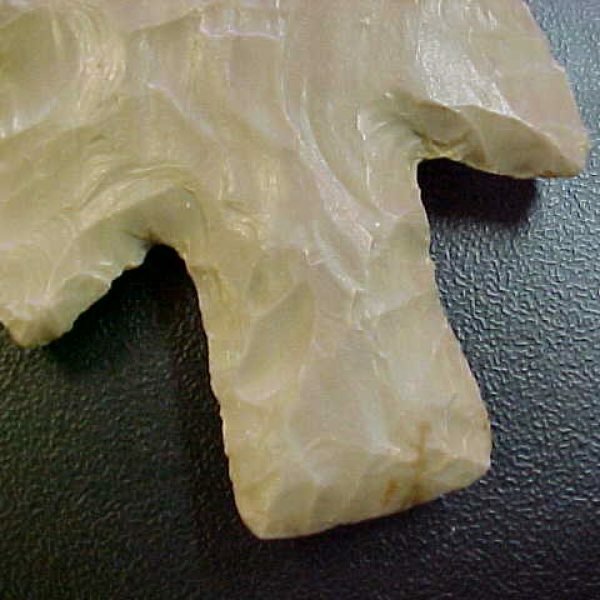 Tags: ANCIENT ARTIFACT, arrowhead, flint, MOUND BUILDERS, stemmed point. 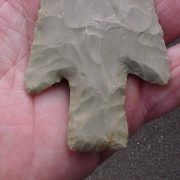 Very fine, large Buck Creek type blade. 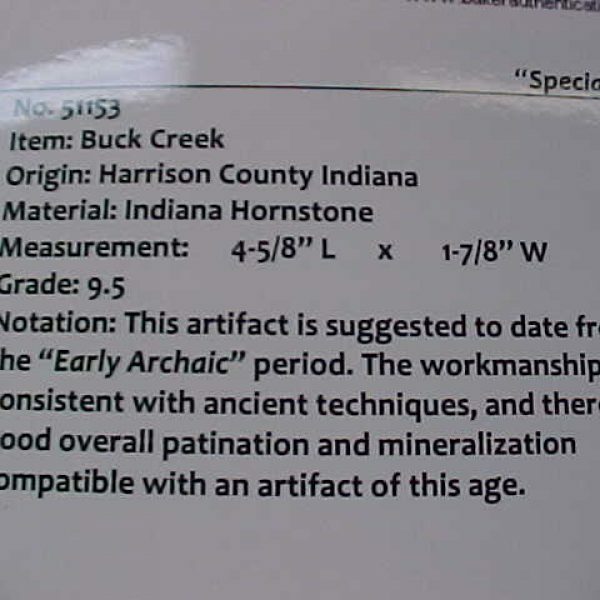 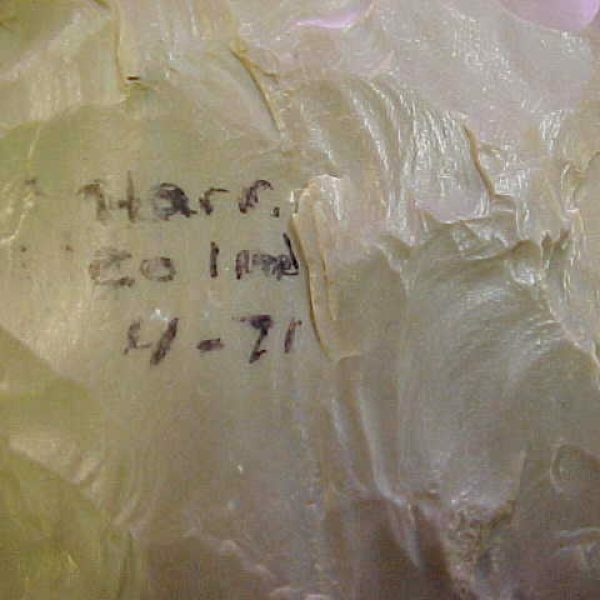 Measures 4 5/8″ x 1 7/8″ Made of Indiana hornstone. 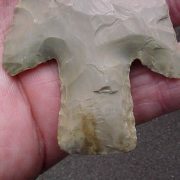 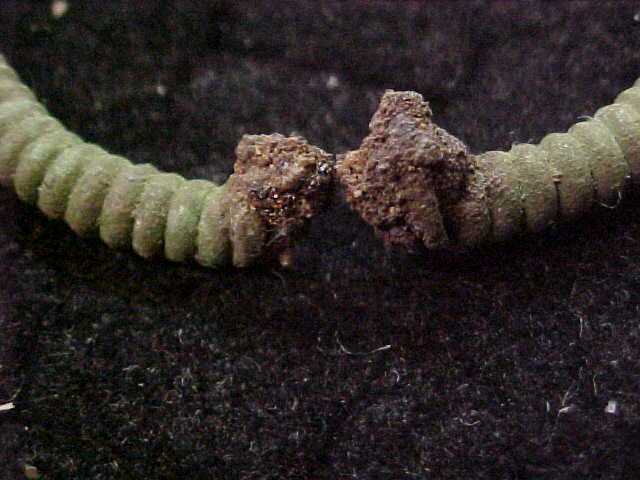 Was found in Harrison County Indiana. 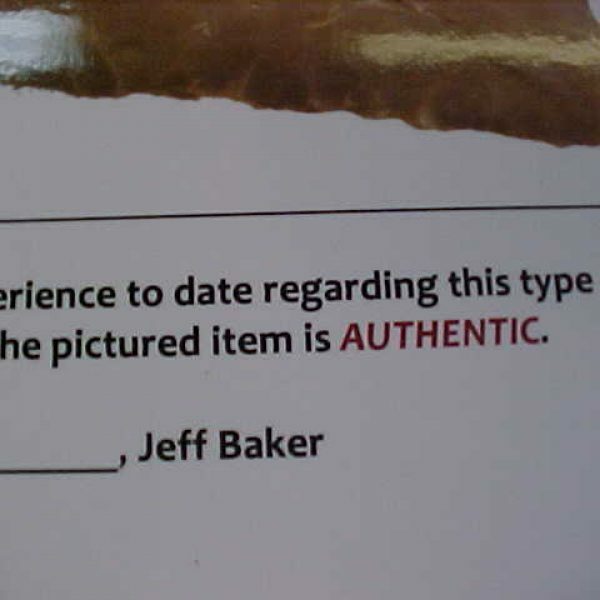 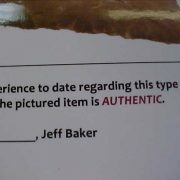 Comes with a Baker Authentications Services COA. 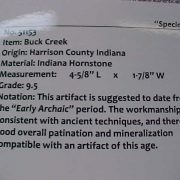 Grades at 9.5 A beautiful point.